Dr. Carolyn C. Porco is an American planetary scientist known for her work on the Voyager missions to Jupiter, Saturn, Uranus and Neptune in the 1980s. She leads the imaging scientist team on the Cassini mission currently in orbit around Saturn. She’s also involved with the New Horizons mission launched to Pluto. She has authored more than 100 scientific papers. She has given two popular Ted Talks lectures. She has won numerous awards, including the Carl Sagan Medal presented by the American Astronomical Society for Excellence in the Communication of Science to the Public, she was named one of the 25 most influential people in space by Time magazine in 2012, and she was recently elected to be a laureate of the International Academy of Humanism. 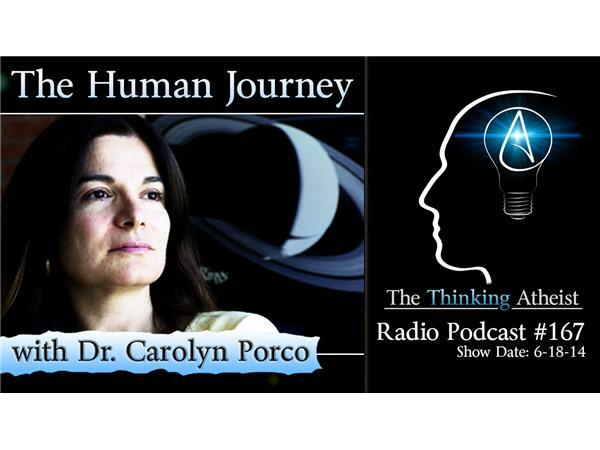 On this podcast, we talk with Dr. Porco about her work, about the exploration of our solar system and beyond, about science versus anti-science, and about this new age of discovery that has opened windows into the vast reaches of space.